The Eurofighter Consortium is showcasing the Eurofighter Typhoon, one of the world’s most advanced fast-jet fighters, at Indo Defence because it believes the jet is probably the best solution for Indonesia at this particular time of its development. Eurofighter sees Indonesia as a progressive country on the verge of an economic take-off. It is for this reason that Eurofighter has adopted the theme of ‘Indonesia Lepas Landas’ (‘Indonesia Ready for Take-off’) – a phrase familiar to many Indonesians and one which symbolises optimism and belief in a positive and prosperous future – for the consortium’s exhibition at this year’s Indo Defence. Alberto Gutierrez, the CEO of Eurofighter Jagdflugzeug GmbH said: “This week, at Indo Defence, key decision-makers will concentrate on one essential aspect of securing Indonesia’s future – optimising investment decisions around defence capability. For this, and for future generations, it’s a massive responsibility. “The Eurofighter consortium recognises the importance of this challenge. And this week, for the first time, the consortium will be showcasing a unique opportunity for the people of Indonesia,” he said. Eurofighter comes to Asia offering the opportunity for Indonesia to fully engage with a programme it believes can deliver air superiority; enhanced indigenous capability, skillstransfer and the foundations for decades of even stronger performance in the military aerospace industry. “Everyone, when competing for business, will say how wonderful their product is, how fast, how powerful, how versatile it is – and yes we can, and will, make the strongest of claims around the capability of the Eurofighter Typhoon,” said Gutierrez. 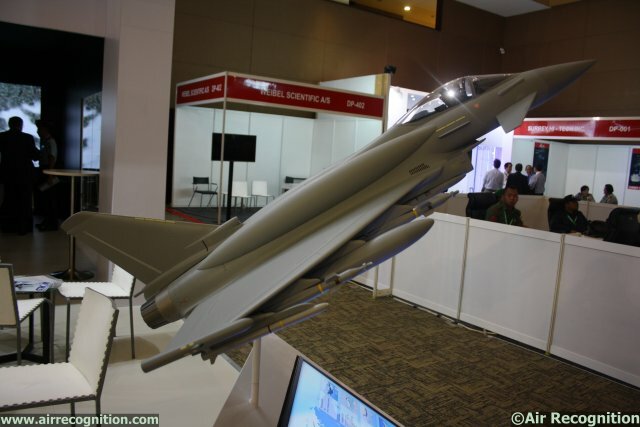 The Eurofighter CEO said: “Safeguarding the islands of Indonesia is a massive undertaking. In terms of airpower you need an asset that is fast, can fly high, has staying power and which is versatile and reliable enough to effortlessly take on a number of key roles. We believe the Eurofighter Typhoon is that asset." The CEO said that the Eurofighter consortium, whose core partners are supported by four key European nations, Spain, Italy, Germany and the United Kingdom, is ready to work as needed with the Indonesian aerospace industry on developing indigenous capability – but he added that, in the shorter term Eurofighter is willing to discuss and develop ways in which immediate requirements are met. The CEO said it was “too early” to go into detail about what those options might be, but added that there have “already been a number of useful meetings” between interested parties. The Spanish-born Alberto Gutierrez became Chief Executive Officer of the German-based Eurofighter Jagdflugzeug GmbH consortium after leaving his parent company Airbus Defence and Space just over a year ago. Airbus is already active in Indonesia working closely with PT Dirgantara Indonesia (PTDI) the Indonesian state owned enterprise who supply and manufacture parts for a number of key programmes - both civil and military.